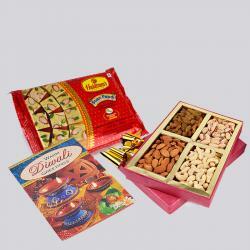 Product Consist : Box of Soan papdi (Weight : 500 Gms) and Box of Assorted Dryfruits (Weight : 500 Gms) with Pair of Diwali Earthen Diya. The Dryfruit is a great gift for any festival or occasion. 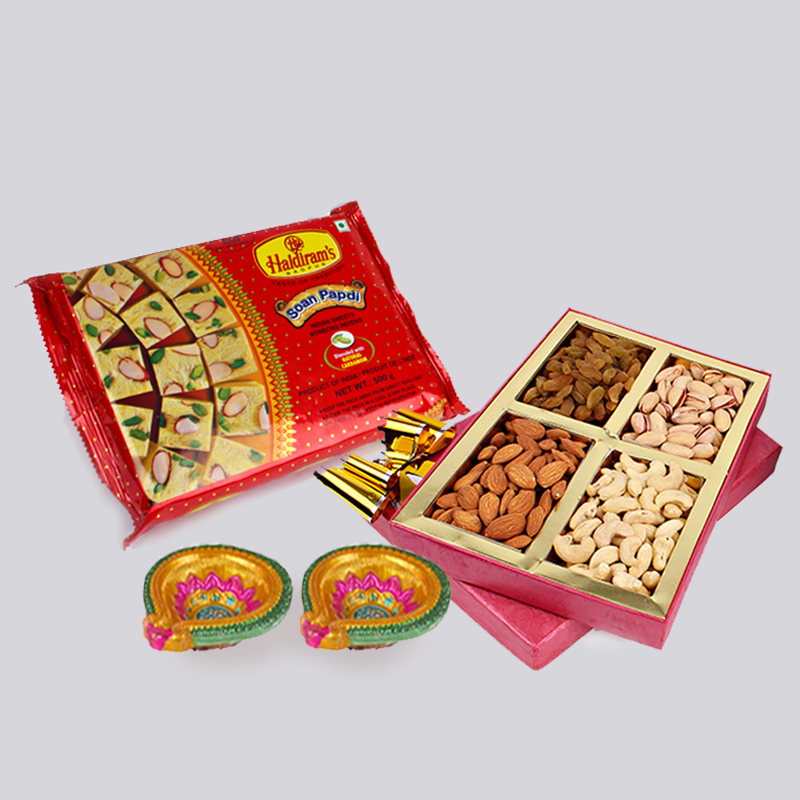 On this Diwali Send this Healthy gift with a Diwali Crackers, Soan Papdi to bring Peace and Prosperity wishes for a good fortune and positive outcomes to your special recipient. This Crunchy Nuts will make an excellent impression to the receiver at this festive. For a delightful gift that makes anyones heart melt, this is the perfect hamper. 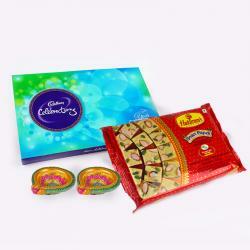 This 500 Gms delicious Soan Papdi is put together in this hamper to complete Diwali sweetness feelings. It looks marvelous while receiving this hamper. Present this to anyone on their special day and make their day more happier. 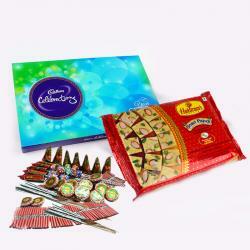 These Diwali Gifts will make a beautiful memory and make your dear ones cherish it always. 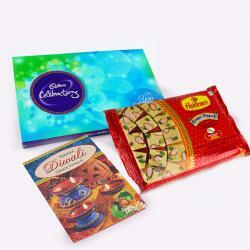 Product Includes : Box of Soan papdi (Weight : 500 Gms) and Box of Assorted Dryfruits (Weight : 500 Gms) with Pair of Diwali Earthen Diya.